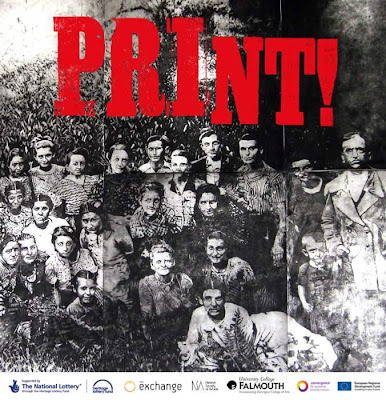 Since April the Exchange Gallery in Penzance has been showing an exhibition of contemporary & historic prints, and alongside has been running print workshops and holding demonstrations of printing techniques. The Exchange is a large T-shaped space and, for the duration of the exhibition, the area on the left of the room is devoted to printing. There is a press in the corner, paraphernalia needed to produce works of art, and rows of draft prints drying across the wall - the results of the workshops so far. The exhibition itself draws upon a wide range of print examples. 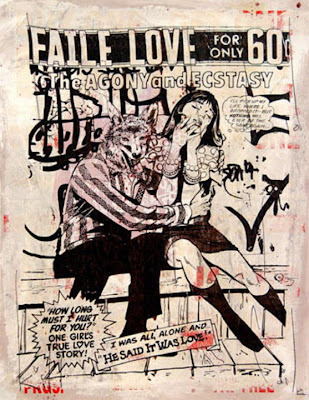 There is work by Terry Frost and Barbara Hepworth, but also work by street art/comic book artists such as Faile, and older material from the archives of Falmouth Art Gallery and other Cornish collections. 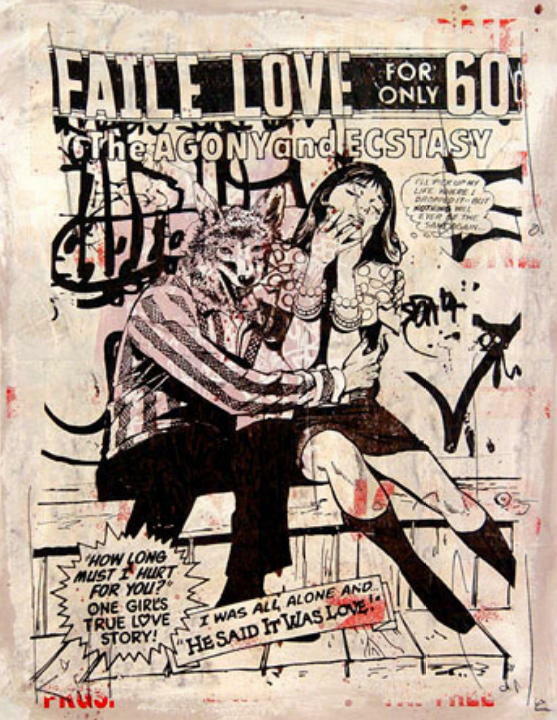 The prints are of all types - monoprints, collographs, woodcuts, screen prints and more. They are laid out in imaginative ways across the length of the gallery walls but, unfortunately, they are not individually labelled. Instead it's necessary to refer to the maps provided to identify what's what. This is a shame because what might have been fun and educational can turn into a bit of a chore. Nevertheless, there is much to enjoy here and you can easily spend an hour or more just investigating the wide range of techniques on display. Print! finishes on July 2nd.